We started 1999, but the name we had back then was Butler. Gustaf: I met Björn at a party and we started talking about The Beatles... I thought I was the only one who listened to them in our hometown Borlänge, and Björn thought the same ... It turned out we were wrong and then he just asked if I wanted to join a band and I said yes. In Borlänge, there was not much else to do other than become a criminal or make music. Music was our way to escape from reality and form a life worth living. I guess we rather bleed from music than the gang fights. But I guess that's a long time ago now. Björn: Well, we have many; Abba, Beatles, Stones, Michael Jackson and from Sweden: Latin Kings, Cornelis Vreeswijk, Ebba Grön..... there are so many sources of inspiration! We sometimes compare our previous album Give Me Fire with a Quentin Tarantino Soundtrack - there's always a song for the right mood. Do you have advice for anyone that is thinking of starting a band? Björn: Get yourself a good lawyer from the beginning; it’s definitely worth it, to avoid all the boring business things that you have to deal with in order to not get fooled. Is there any place you have been in the world that you would like to visit again? There are many places we would like to visit again, and one of them is Japan. Samuel: All the journalists compare you to all the big international bands like White Stripes and Strokes and that’s pretty fun. We ended up at an after show party when we were there a couple of years ago... Some dudes from Sum 41 were there as well and one of them told us about a Hollywood house he just bought which was 300 square meters. He thought that we were on the same level like we’re as big as they are in Japan. And that feeling was really bizarre. 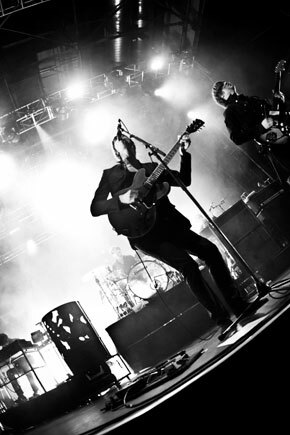 What is the band's creative process? Björn and Gustaf write the songs at home. Separately or together sometimes. Then they e-mail a demo or, play it to the rest of the band in the studio. We all learn our parts and come up with new stuff to add. How do you fight the creative roadblocks? We go to Björn’s cabin in the deep woods of Darlarna and Relax. When are you most yourselves? When we're in the studio just the 5 of us rehearsing or recording. What would you like to say to the Stardoll members? 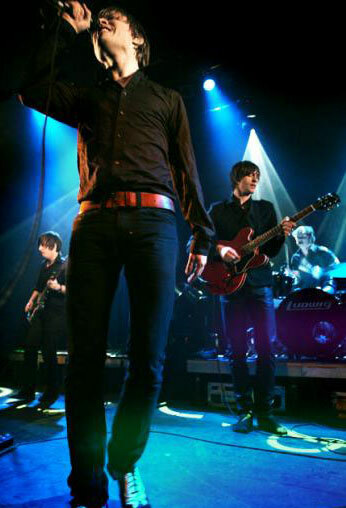 Now you get to undress and dress one of the most goodlooking bands around. Thanks, Mando Diao for the amazing interview! 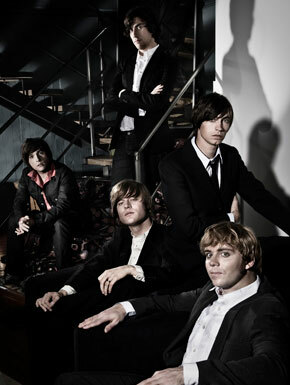 Check Out the Mando Diao Dolls Here!